~1/32 scale (1cm = 1ft) desktop vLazair model. Its pilot seat is fully functional and can be manually opened . ~1/32 scale (1cm = 1ft) desktop vLazair model. Its pilot seat is fully functional and can be manually opened and closed. 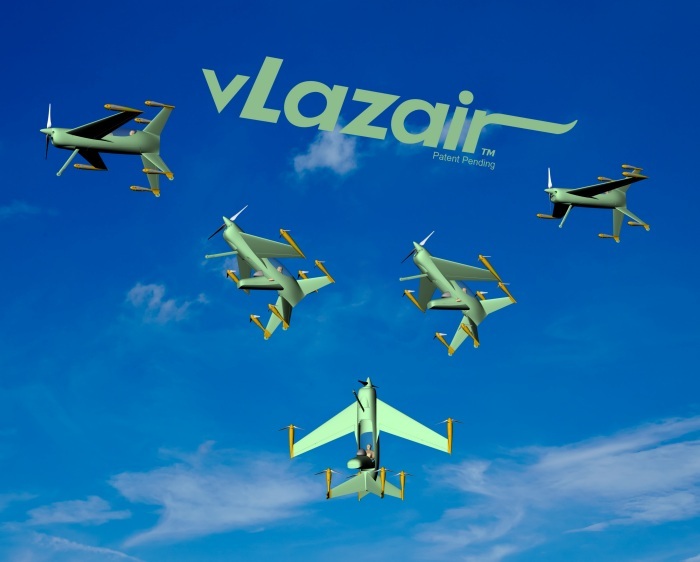 This model will be signed by vLazair creator Dale Kramer. THIS IS AN AUTOGRAPHED AND MADE TO ORDER ITEM. PLEASE ALLOW 3-4 WEEKS FOR DELIVERY. This is a signed high resolution 8"x10" image of the vLazair 'Cruise - Hover - Cruise' depiction on photographic paper. For international orders: Please contact us with your desired order details. We will then contact you with the price and payment method.